Simple, one-button operation, fully automatic, general construction laser. Following in tradition of the Rugby family ... 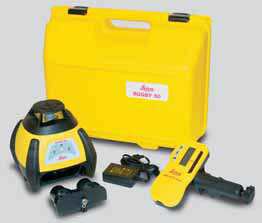 Rugged, reliable, accurate. The Leica Rugby 50 is the affordable “little brother” of the popular Leica Rugby 100. The Rugby 50 provides value where ever it is used. 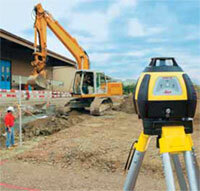 Work gets done faster and more accurately, providing savings in labor, time and materials. 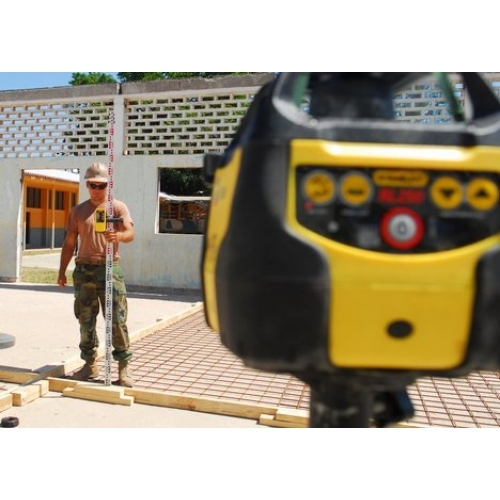 As a contractor, you know the values of lasers. Built to Leica Geosystems’ tough standards, you can trust the Leica Rugby 50 to provide you with the right tool to get the job done. 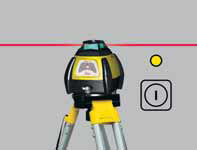 The Leica Rugby 50 is designed to always turn on in automatic self-leveling mode. No concerns for setting up the laser incorrectly. 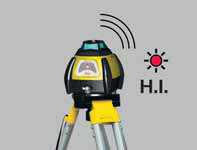 Set up the Leica Rugby 50 within its wide leveling range, the instrument will automatically self-level and work can begin. 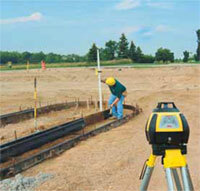 Getting your footings level is the most important step in any building process. Get it right the first time with the Leica Rugby 50. 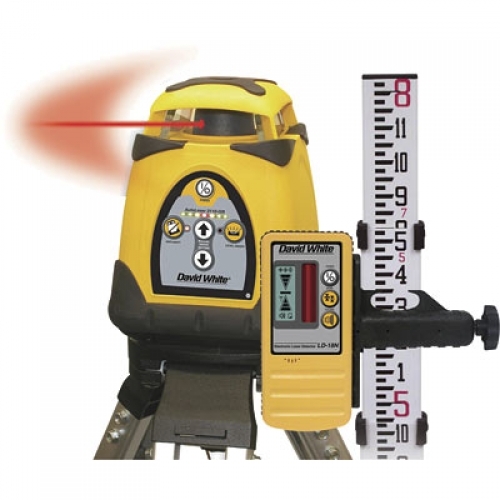 Working together with the Leica MC200 Depthmaster receiver, the Leica Rugby 50 will provide a consistent reference to check the depth of cut. 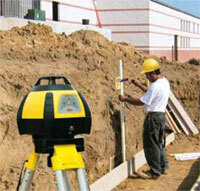 Leveling forms and checking elevations are two important jobs that the Leica Rugby 50 can do reliably and accurately.